In the last decade or so, people have been obsessed with anything that is Celtic, from myth to music. 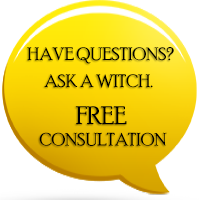 While witchcraft based on the Celtic tradition has been increasing in popularity, there are many followers who are still not very sure about how this kind of witchcraft is different from the other types of Pagan worship. This is the kind of witchcraft that loves the earth and it also believes strongly in theology. As such, Gods and Goddesses are important to the followers of this form of Wicca. The Celtic witchcraft identifies two chief deities. These are the Horned God and the Mother Goddess. Celtic Wiccans do worship other deities as well apart from these two deities, but these are by far the most prominent figures in this tradition. The Celtic Wiccans are of the opinion that all goddesses and gods are one – but that the Horned God and the Earth Mother Goddess possess real authority. Another deity who is worshipped to a similar degree the Triple Goddess who is identified as the maiden, the mother and the crone. This underlines the female aspect to Celtic Mythology. The followers of this religion carry out the same magic/rituals as other Wiccans. They tend to celebrate the same holidays or sabbats and they are also very dedicated to spirituality - just like any other Craft member. Perhaps the main difference between the Celtic followers and other Wiccans is that when it comes to the Celtic tradition, their brand of Magick pervades everything, and it has a very ancient sense of history. Celtic-themed tattoos, jewelry, everyday items and artworks have the presence of magic and they hark back to an ancient but much cherished past. The religious leaders of the Celts were the druids, a profession that now has a strong modern follower. Those were intelligent priestesses and priests that possessed the perfect blend of magic and wisdom. 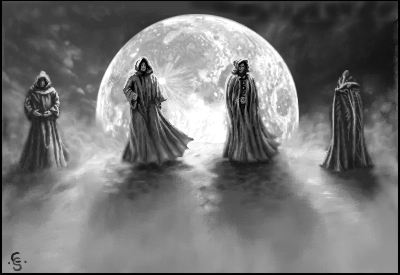 Only the most respected members of Celtic society rose to the level of becoming a druid. 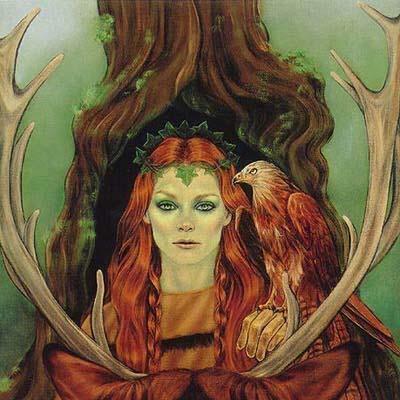 There was a time when the priesthood of the druids included only the females. However, this changed later on and the druidic orders started to accept males too. Again, this points to the very strong female basis that underpins the Celtic outlook on life. Druidesses were said to be of three classes or categories. The first class was the celibate class and the priestesses of this class lived in convents. The other two levels of Druidesses had the freedom to marry and live with their husbands. They could also live in the temples. The Celtic Wiccans of today are extremely spiritual people and you will be able to see this when you see how much work they put in to their worship. They are also very dedicated to earth as well as their gods and goddesses. While at first glance there seems to be very little difference between the Celtic followers and other Wiccans from all over the world, they have an outlook and a world view that is quite unique. However, the fact remains that the Celtic Wiccans have a lot in common with non-Celtic Wiccans worldwide. The philosophy and ‘world view’ which emphasizes the power of nature remains central amongst all Wiccans. When it comes to Magick, the Celts have woven it into each and every aspect of their lives. This outlook often has complete acceptance amongst all followers. If a person wishes to become a Celtic Wiccan then he or she will have to completely believe in magic and accept it into his or her life. People consider magic as normal as smiling, sleeping and breathing. The Celts honor the earth’s essential elements like air, water, earth and fire in their rituals and they also pay respect to the deities that represent these elements. Rituals are held by the Celtic Wiccans to pay respect to the Sabbats, the different solstices and the various seasons. Harking back and celebrating the ancient past in a constant in these ceremonies. The Celts believe that numbers are of vital importance to them and some of the numbers that have special meaning. These include 13, 9, 7, 5 and 3. The Celts are also of the opinion that rituals are of vital importance for their magic. They pay attention to each and every minute aspect when it comes to creating a setting for Magick, such as using candles and incense, the necessary tools and wearing the correct ceremonial robes. What you may not know is that the Celts are very religious people. In the ancient Celtic nations, women who had children were given a higher ranking in society than women who were virgins. This was because the Celts prized fertility. For many, the Celts represent a freedom and an alternative society to the modern day one. The ancient Celts of northern Europe strongly resisted the advance of ‘civilization’, in the form of the Roman Empire, upon their lands. They were outsiders and connected directly to the land, so the idea of instead aligning themselves with a foreign emperor clashed directly with their beliefs. It is this free-spirited nature that still attracts people to the Celtic ideal. Have you ever taken part in a Celtic ceremony? Do you have roots that you can trace back to the Celtic countries of Europe? Many people feel an affinity to the Celtic tradition, so feel free to continue the conversation on our Facebook page. thank you! i understood the fundamentals, but would not be able to tell you how i knew. much as a math problem that you know the answer to, just don't know how you got the answer. i have been asked this question several times and was able to give a stumbling reply and hoped i was able to at least enlighten if only a little. your explaination was simple, concise and most of all, easy to follow and understand. if i am able to convey a small portion of your explaination, i hope to leave someone with some knowledge instead of more confusion than theyble started with. again, thank you! blessings to you and yours! I have always had special interest in the occult. I would like to learn more and become more Active in the teachings and understandings. My birth date is : 7-11-57. Time 9:55 pm eastern time.please advise. And yes blessed be ! My mother, native to Northern Ireland, possessed a sultry, all-knowing way that was smothered by feelings of guilt. Her powers ultimately waned here in the US and she turned to drink which was ultimately her demise. Since the time of her passing, I've felt a strong sense of her presence woven into the fabric of MY essence. Ive been to Northern Ireland a few times, and each time I feel the empowering magic. I intend to embrace this power as my mother was intended to do. My power is to light the path to help others see the way...both in my role as a nurse, and my role as a friend.